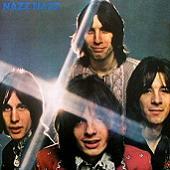 The Nazz was an incredibly under-recognized British influenced mod-psych band from Philadelphia that formed in 1967 and remained together for only a few short years. For the time, their music was highly original and still holds up very well to this day. 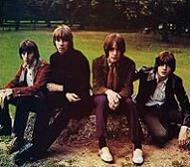 Original members included Robert "Stewkey" Antoni (vocals, keyboards), Thom Mooney (drums), Carson Van Osten (bass) and future rock star Todd Rundgren (guitar). It should be noted that many now consider the Nazz to have had one of the best rhythm sections in sixties rock and Mooney's excellent drum styling has been closely compared to Keith Moon of the Who. Rundgren and Van Osten were playing together in a group called Woody's Truck Stop when they left to form the Nazz. According to one band member, the group's name originated from two sources: a song by the Yardbirds titled 'The Nazz Are Blue' and also from an old record by comedian Richard "Lord" Buckley which mentions repeatedly, "The Nazz Is Comin'! ", meaning the Nazarene or Jesus Christ. 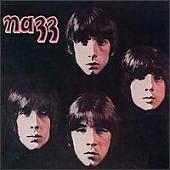 The Nazz played their first concert in July, 1967, opening for the Doors. By September of that year, the group had received some financial support from a local record store, which also put them in touch with John Kurland, a record promoter who was looking for a guitar-pop band. Kurland took a liking to the Nazz and signed on as their manager. Unfortunately, he and his associate, Michael Friedman, prevented the band from gigging regularly, believing that a lack of performances would increase demand for the group. The managers were also convinced that the Nazz could be marketed as a sharp, stylish boy-band for the teenybopper audience, and helped the quartet refashion themselves in that mode. By the summer of 1968, the band was signed to Screen Gems Columbia, a record company that was looking for a replacement for the Monkees. Their self titled debut LP was released in October of that year supported by the single 'Open My Eyes'. There was even a decently produced, color video of 'Open My Eyes' made, which is quite good. Ironically it didn't chart nationally, but the B-side of the 45, 'Hello It's Me', hit #71 with very little promotion. This original, slower tempo version, written by Rundgren, was redone in the early 1970s and became a major hit for him. The album is filled with excellent songs, mostly written by Rundgren, mixing original ballads like 'Crowded' (written by Stewkey and Mooney) with hard rockers like 'Back Of Your Mind'. Surprisingly, the album sold poorly and didn't chart nationally. By 1969, Rundgren's creative juices were flowing better than ever, giving the band enough material to consider releasing a follow up double LP to be titled 'Fungo Bat' (a fungo bat is a type of major league baseball practice bat). By the time it was released however in the spring of 1969, it had been trimmed to a single album and re-titled 'Nazz Nazz'. This diverse record, with all songs written and produced by Rundgren, is just as good or better than their initial release, containing outstanding ballads like 'Gonna Cry Today' and high energy rockers like 'Not Wrong Long'. Unfortunately this LP didn't sell well either and the band began to splinter. Rundgren was already upset that a lot of his newer, Laura Nyro influenced material had been shelved by the rest of the band and the poor reception of their second album prompted him to split after their 1969 summer tour. Van Osten also had left, so Stewkey and Mooney, wanting to continue, recruited Craig Bolyn (guitar) and Greg Sempler (bass). The new lineup toured sporadically from 1969 into 1970 filling concert commitments in the southwest, including the Texas International Pop Festival where they shared the stage with Led Zeppelin, Janis Joplin and Canned Heat among others. 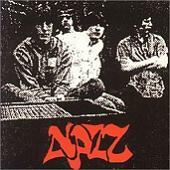 Nazz finally disbanded when Mooney returned to California and Stewkey stayed in Texas. It wasn't long however that Stewkey received a call from Rick Nielson and Tom Petersson (of future Cheap Trick fame) asking if he would meet them, Mooney and Craig Myers (guitar) in Rockford, IL to join a band they were calling Fuse. He agreed and they ended up playing around the Midwest for 6-7 months under two monikers, Fuse or Nazz, depending on where they were gigging. In late 1970, the band decided they would move back to Philadelphia except for Mooney who returned to California and was replaced by Bun E. Carlos (another future member of Cheap Trick). They changed their name to Sick Man Of Europe and got as far as an audition with Epic Records, but nothing ever materialized. 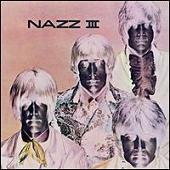 In 1971, a third LP titled 'Nazz III' was released without the group's knowledge or consent. This album includes all four original band members and contains mostly outtakes from their second record, but still holds up very well on its own. Awesome rockers like 'Christopher Columbus' and 'How Can You Call That Beautiful' are again mixed with excellent slower tunes like 'Only One Winner' and 'Take The Hand'. In the mid-70s, Mooney hooked up with the ex-These Vizitors Curtis brothers Mike, Tom and Rick to form the Curtis Bros. Stewkey eventually retired from the music business around this time to raise a family, but has since reformed the Nazz and still plays live occasionally. 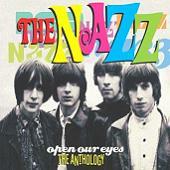 A big thanks to Stewkey of the Nazz for his important contribution to this article. This 2 CD Box Set contains many of the songs by this artist that are played on TWOS.